Home » Blog » Cool Treats to Make You Feel Fresh and Fabulous! Remember those brain-freeze inducing snow cones we had when we were kids? Think of granitas as the grown up version of those. 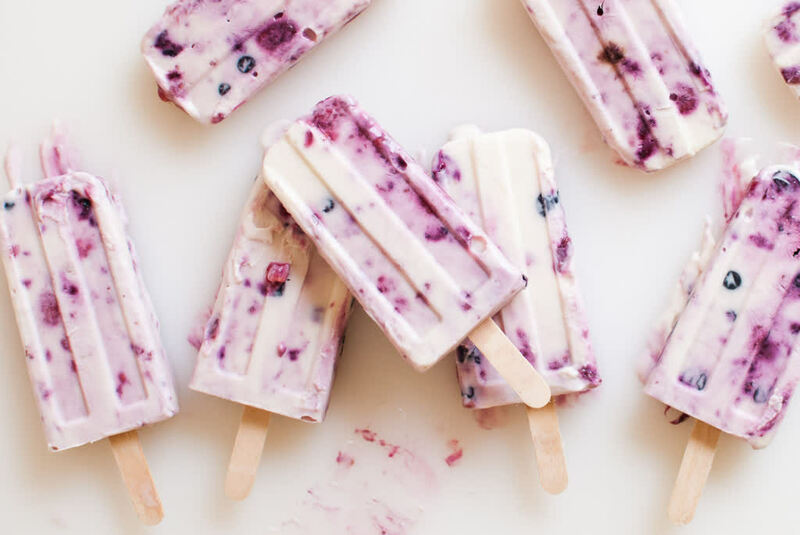 While they look more up-market, they’re still just as satisfying when you’re trying to beat the heat – and you can even sneak in some healthy fruits too! Best of all, granitas are an easy and delicious dessert to whip up, and they look pretty spectacular too. Which makes them a great choice for dinner parties in summer. To make them – puree the fruit of your choice. Melons of all varieties are a great option for these as they have a high water content, making the texture more ‘icy’. You could also combine different fruits with juices as well. Lay out the puree in a shallow tray and freeze for about an hour, until it is firm, but not completely solid. Using a metal spoon, shave the ice across the surface, and serve. This one is fun for kids and adults alike – and a really great alternative to typical store-bought iced treats, which are often filled with additives and sugar. All you need is the fresh fruit of your choice, pureed until smooth. You could even add a dollop of rich natural or flavoured yoghurt to give the popsicle a smoother and creamier taste. Pour the liquid mixture into popsicle moulds, and freeze overnight, before popping them out to enjoy. For a more spectacular result, you could get creative by making layers of different flavours! This takes a little more time and planning, as you’ll need to allow each layer to freeze before adding the next one – but the smiles you’ll get make it worth it! Velvety smooth, creamy ice cream – from just one ingredient? That’s right – and it’s probably not the one you were expecting. In fact, the secret to “nice cream” isn’t dairy-related at all – it’s the humble banana! While bananas might not seem particularly creamy when you eat them normally – when you freeze them into chunks and then blend them until smooth, it’s a completely different story. You can enjoy this “nice cream” just as it is – or add different flavours to create a menu to rival your favourite ice cream stand! Add frozen berries or other fruits for a fresh and colourful sorbet, or add cocoa and honey for a chocolate fix. Top it off with chopped toasted nuts or dried fruit for a super-indulgent treat, that’s completely sugar free! What are your favourite treats to enjoy in the summer – and how will you be making them healthy – and still delicious? We’d love to know!